Leaders and managers send out signals, for example, when they say thank you for a job well done – the signal is “your work is appreciated”. Having a “closed door” vs an “open door” policy sends out strong signals to employees in terms of the accessibility of the leader. But have you heard of the saying, “He is sending mixed signals”? In the case of a leader, this happens when he says that something is important, but people don’t see the leader doing it. Some can see this as the leader being a hypocrite, i.e. saying one thing, but not behaving in the way that was said. I can’t think of one positive outcome from mixed signals! In our professional work with clients, it is all too common to observe mixed signals. Let me give you some examples – and let’s see if you have seen them in your workplace. I have dealt with a mixed-signals customer experience leader. Let’s call him John. Soon after first meeting John, it was obvious he was highly competent. Based on the way that he interacted with me, it was also clear that John had a much lower level of people focus. At a peer-to-peer level, he was a nice guy, but he did not have a lot of time for the “niceties” of human interactions. His paradigm was to “get things done though action”. John’s mission was to improve the “sub-standard” experience that his customer service people provided to customers. He wanted them to deliver “service from the heart”. In simple terms, this translated to engaging, empathetic and effective customer interactions. The mixed signal to employees was that John’s behaviours were incongruent. He didn’t walk the talk. On one hand, he wanted his staff to be warm and friendly to their customers. On the other hand, he did not display to his staff the warmth that he wanted them to demonstrate to customers. He was distant from, even feared, by staff. What was worse, there were consequences if John observed that staff were not delivering the desired level of service. Nobody wanted to experience these consequences! The impact of the mixed signals John was sending was that employees went into compliance mode. They did what they were required to do because they had to. Sure, this is fine – compliance can work with support systems, and leaders who monitor them. However, there is one booster to the process. It’s called commitment. The more desirable alternative is for employees to feel committed to delivering the desired human experiences. This moves them from “have to” to “want to”. If you have children, you will know the difference between a committed student, who studies with a purpose, and a student who is studying because he or she is told to do so. Commitment is based on a belief that “this is the right thing to do”. Compliance is about people just doing their jobs. They do those jobs because they have to, and will continue to behave in the desired ways because they are told to do so. When employees see the Johns in their worlds demonstrating the desired behaviours to them – they feel a commitment to want to follow suit. At top team level, I have seen (which means that employees have seen), senior leaders who did not get on with each other. In some cases, I observed uneasy relationships. At another extreme, I have witnessed senior leaders who only communicate by WhatsApp – never face-to-face. At the most extreme, I have witnessed two senior leaders who would not meet unless there was another person in the room to mediate the conversation. The mixed signal is that the organisation is supposed to be one team, but it seems that senior leaders are somehow immune from this. When there are mixed signals, people will believe your actions as a leader, not your words. They will get cues as to what is important by following your behavioural lead. And, if you continue to give mixed signals, employees will say (behind your back) that you are not true to your word, so why should they follow what you say. Ouch! And, more importantly, you will get back what they see. 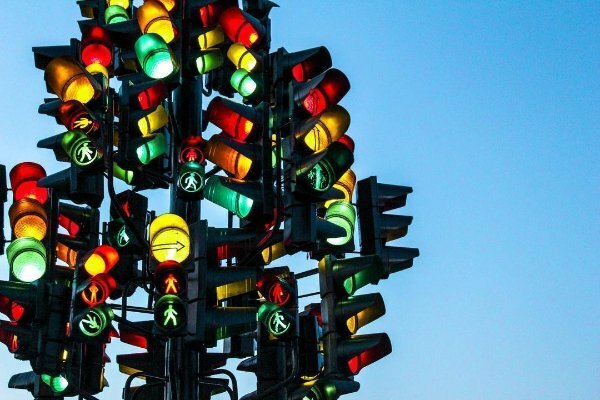 How can you tell if you’re sending mixed signals? In my next article, I will share ways for leaders send signals – and to behave consistently with them.